Altruistic World Online Library • View topic - Who Is Arpad Pusztai and Why Has He Been Silenced? Who Is Arpad Pusztai and Why Has He Been Silenced? Re: Who Is Arpad Pusztai and Why Has He Been Silenced? [Patrick Timpone] This show is a great deal more than documenting the hazards of GMO. We hear in clear detail how Mr. Pusztai and his associates did the research, and the ramifications going forward. We also get a better handle on how the cells work, and how, why, and what our ancestors ate may or may not be a factor in our finding our “Ideal Diet”. You’ll hear Mr. Pusztai’s opinion on Dr. D'Adamo’s Blood Type Diet and plant lectins spoken about so often. Arpad Pusztai, Ph.D., received his degree in Chemistry in Budapest, Hungary and his B.Sc. in Physiology, and Ph.D. in Biochemistry at the University of London in England. Over his nearly 50-year career, he worked at universities and research institutes in Budapest; London; Chicago, U.S.; and Aberdeen, Scotland (Rowett Research Institute). He has published close to 300 primary peer-reviewed papers, and wrote or edited 12 scientific books. In the last 30 years, he pioneered research into the effects of dietary lectins (carbohydrate-reactive proteins), including those transgenically expressed in GM crop plants, on the gastrointestinal tract. Since his contract was not renewed with Rowett as a result of disagreements, Dr. Pusztai has been lecturing on his GM potato research all over the world, and acting as a consultant to groups starting up research into the health effects of GM food. [Arpad Pusztai, Ph.D.] That's correct. [Patrick Timpone] And where are you located? [Arpad Pusztai, Ph.D.] Well, at the moment, I am located in what we call our summer home. It's in Hungary. It's overlooking a big lake, 100 km wide. We use it to get closer to the university where we teach. And my wife teaches 400 km from this spot. And I am 220 km. My wife is a professor of nutrition, and I teach as a doctor of mainly molecular biology and genetic modification. [Arpad Pusztai, Ph.D.] Yes. I try to point out all the things that ought to have been done before these things have been commercialized. But they haven't been done. And it is a totally scientific approach. We know what ought to have been done, and I just point these out. Incidentally, Hungary has a moratorium on growing Monsanto 810 corn. It's not allowed to be grown in this country. And Hungary is the second largest corn producer in the European Union. [Patrick Timpone] And when did they do that, doctor? When did they make that rule? [Arpad Pusztai, Ph.D.] It was actually about four years ago. [Patrick Timpone] Uh huh. And you started your research many years ago, I think 1968. But it was mainly on this protein that we know of in this country called "lectins." [Arpad Pusztai, Ph.D.] Yes, yes. That was my background. [Patrick Timpone] And what are lectins exactly? [Arpad Pusztai, Ph.D.] Well, these are sugar binding proteins. They are sort of communication proteins. Because, you see, all cells are having an envelope, a membrane, which is totally glycosylated. So anything that needs to tell something to that cell, and coming from the outside, it will be communicating via these sugar residues, and the lectins are the natural counterparts of that. [Patrick Timpone] The counterparts of the sugar? [Arpad Pusztai, Ph.D.] Yes, yes. You know, originally they were discovered by a guy called [Peter Hermann] Stillmark 120 years ago in Estonia. And originally we thought they were only proteins in plants. But then it became clear that, for example, our immune system works with lectins. It's not very surprising, because they are communication molecules, communication proteins. [Patrick Timpone] And when you say that our human immune system works with lectins, what role does lectins play in that? [Arpad Pusztai, Ph.D.] They do, sort of, impart messages to the immune cells, and other cells as well. But it is all the lymphocytes and other things, like, you know, these communication molecules in the body which tell the immune system to do something. They are all lectins. And that is a fundamental building block of life. Because cells, in a system where there are millions of cells, they need some form of communication. They are very highly organized, things that make the cellular system work. They work in sort of a concerted fashion. But then we know, as they say, since the lectins were discovered in 1886, as I said in Estonia, now we know that every life form is communicating with lectins. For example, e-coli, one of the simplest bacterias, will bind to our gut, and one of the specific mannose is one of the sugars. [Arpad Pusztai, Ph.D.] Mannose. It's glucose. There's very little difference between them. But that difference is important. And e-coli will bind to anything that will display mannose on its surface. For example, e-coli does bind to our gut via mannose-specific surface receptors. [Patrick Timpone] I am talking with Professor Arpad Pusztai. He is in Hungary. And he has been doing lots of research on plant lectins since 1968 at the Rowett Research Institute in Hungary. And he also began doing some work a few years back on genetically modified organisms in potatoes and rats. But since his work is based on lectins, I wanted to see what exactly these lectins are, what they mean to us as health-conscious consumers. Tell those of us listening right now, doctor. What would we want to know about lectins, and perhaps diet, or the immune system, that would help us to become healthier? [Arpad Pusztai, Ph.D.] Well, there is a guy in America -- I don't fully agree with him -- but he has based something on the good observation of his father. This is [Dr. Peter] D'Adamo. [Patrick Timpone] Oh! D'Adamo. Yes, we know him. A blood-typing thing? [Arpad Pusztai, Ph.D.] That is a blood-type. Yes. [Patrick Timpone] Do you think there's something to that? [Arpad Pusztai, Ph.D.] Yeah, it does have a good observation basis. But I wouldn't stretch it as far as he would go. In fact, he does do a lot of the work, and a lot of his ideas are based on things which we have published. I think he takes it to an extreme. [Patrick Timpone] What parts do you think are possibly not the best research? [Arpad Pusztai, Ph.D.] Well, I don't think he has ever done any research. His father was a good doctor at a spa in Germany I think, or somewhere, where he observed that people were eating a certain type of food that disagreed with them. And he built up sort of an empirical system, about the connection between the people's blood type and the type of food that they were eating. D'Adamo actually explains it that these foods ,which you either agree with or not -- or disagree with -- do contain lectins, and these lectins will be human blood group specific. [Arpad Pusztai, Ph.D.] -- because those foodstuffs will contain lectins which will specifically react with the human blood group "A." And there are not enough of these lectins about to explain this way. So I think that the empiricism, the observations -- you know, it is your experience too that some foods you don't agree with. [Patrick Timpone] Yes. So can we take away from what you've just said about the blood-type thing, that there's possibly something there to look at. Say, for example, if you're an "O", perhaps you would do better with meat than an "A", or should we just let it go? [Arpad Pusztai, Ph.D.] Well, I think that if you look at the table in D'Adamo's books, it does give you reasonable ideas of what to eat and what not to eat, providing, of course, that you know your own blood type. I think that the observation is probably correct; the explanation is not always. [Patrick Timpone] I see. So it may possibly be a blood type that he says tends to be more vegetarian, perhaps? [Patrick Timpone] That those people would do better with more vegetables than meat, and that sort of thing? [Arpad Pusztai, Ph.D.] Yes. It is all in his tables in his books. And I think that I would suggest that people can make their own observations. [Arpad Pusztai, Ph.D.] And it's a common sense approach. For example, I don't take very kindly, my body doesn't take very kindly, to anything of onion type food. You know, there is a family of bulbs, and after all, onion is a bulb, and that family -- fortunately it's only the onions that we eat, things we don't normally eat. But I certainly, my body doesn't agree with onions. So it starts up some sort of a reaction. And I'm sure it does have something to do with the lectins in onions, which we in fact studied. [Patrick Timpone] So then, let's get into the GMO thing. You have all this background, and when genetically modified foods started to really come into the forefront, is that when you started to look into them, doing the research to see what their effect may or may not be on the human condition? [Arpad Pusztai, Ph.D.] I think that's right. You see, lectins, because they are communicating with the cells, or some lectins, based on selection, can actually be insecticidal. So they go for insects. I'll give you the best example. All the Bt toxins, these bacillus thuringiensis toxins, the so-called "Cry" proteins by Monsanto and others, which are put into corn and other such things such as cotton, they transfer the gene of the bacillus thuringiensis, one of the bacillus thuringiensis's toxins, and that reacts with the insects' guts. The reaction is very harmful for the insect. [Patrick Timpone] And they genetically modify this into the corn, or the cotton, or something? [Arpad Pusztai, Ph.D.] Yes, yes. That's it. And this is probably one of the best-known examples. But they never talk about it that these are actually lectins. And there is very good evidence for it, published evidence, to show that -- you see, with lectins, because it's a sugar-protein interaction, if you know which sugar the lectin interacts with, then if you put the same sugar in, a very large amount, it will stop the interaction. You're sort of just diluting out the interaction. So there are very good examples described in the literature. In fact, that reaction between, let's say, the corn expressing one of the Bt toxins, the bacillus thuringiensis system toxin, if you know which particular sugar it is reacting with, if you in sort of an artificial system you put in a lot of the same sugar, this time it's not on the cell but in a sort of solution, then the lectin, instead of going for the sugar on the cell's surface, the insect gut cell surface, it will be made harmless. Or not harmless, but certainly less effective, by putting in the very same sugar in in a very large amount. So this is all coming from the lectins. And for us scientists, this is an important thing, because we have to understand what is going on. [Patrick Timpone] Well, I'd like to understand what you've just explained. Excuse me for interrupting, sir. Alright, so let's see what I heard you say. So these Bt toxins they put into the corn with the idea that they will kill the insects that eat the corn, are actually lectins. [Patrick Timpone] And these lectins then can react to the same type of lectins in the corn, and make the whole process not work right? [Arpad Pusztai, Ph.D.] No. What happens is that the insect gut will display this particular sugar, and you can test this out in advance so you know which particular bacillus thuringiensis toxin we ought to put into the corn in order to react to the insect gut surface and damage it. So from a point of view of scientific experimentation, then you can put sugars into the same system -- it's not a practical thing, please don't misunderstand it -- we scientists try to explain things, because once we explain it, once we know what is the reaction mechanism, we can take measures that will either reinforce it or stop it. So this is one of the experiments which you can do that has no practical application. [Patrick Timpone] Yes, I understand. [Arpad Pusztai, Ph.D.] If at the same time when you are putting in the Bt toxin, together with the Bt toxin you are putting in all the sugars which it would have reacted with on the surface of the insect gut, if you put it in in a very large amount, it just sort of dilutes out the effect. And that lectin, the bacillus thuringiensis toxin, would in fact react with the sugar. It would be saturating, so that it would have no effective interaction with the one on the surface of the insect gut. [Patrick Timpone] Why is that significant? [Arpad Pusztai, Ph.D.] It is significant because then we know that the specificity -- you know, they are always talking about the various Bt toxins -- there are several of them -- they seem to be claiming selectivity for a particular insect. So they say, for example, that the Monsanto 810 will only react fairly selectively with the European corn borer. That is the basis for this that all insect guts are not the same. Just like our guts are not all the same. So if you find the appropriate lectin toxin, then you can just selectively go for that particular insect. [Patrick Timpone] I see. That's the premise of their product? [Arpad Pusztai, Ph.D.] Yes. So for us it's important to understand this, because we obviously don't want to have anything that will use a steamhammer approach of, you know, hitting everything. [Patrick Timpone] So, let's see if we understand. So Monsanto says that this Bt toxin 810 is specific to this European corn borer, for example, and it won't hurt anything else, or react with anything else, and this is the way we created it. And you're suggesting that your research shows that that's not the case? [Arpad Pusztai, Ph.D.] Well, I think that that's a very restrictive view of it, because there is no absolute selectivity. Just like going back to D'Adamo. There are very few selective foods and blood-group specific lectins. So selectivity -- if you could find something that only reacts with one particular insect gut, then you'd probably be hitting the jackpot. [Patrick Timpone] I see. And you suspect that they have not been able to do that? Or have they? [Arpad Pusztai, Ph.D.] No. I mean, we know a lot of scientific data. It is pretty well known that -- you remember the monarch butterfly? There are, of course, in Europe we have got monarchs, but we have several other protected species of butterflies. And we know, for example, in Hungary the moratorium for growing this Monsanto 810, the European corn borer suggested-to-be effective corn, genetically modified corn, it is expressed in the pollen, and the pollen is traveling. And it settles down mainly on what is around the corn field -- sort of plants -- it just settles down on it. And when the butterflies come -- because they want to collect, of course, the pollen -- then they will get affected by it. And it is pretty well known in the business that this claimed selectivity is a fiction. [Patrick Timpone] I see. So, what you are suggesting is that this 810 selected for lectin just for this particular corn borer, actually affects butterflies and other species? Would it affect us people eating that corn? [Arpad Pusztai, Ph.D.] Well, I think that that's where we come in. You know, I worked in one of the largest institutes in Europe, and our interest in genetically modified food crops came from the realization that most of the lectins found in plants belong to what we call the defensive proteins. [Arpad Pusztai, Ph.D.] Which will defend the plant against various insects and predators. And so our interest came from that, and we wanted to see from the point of view of, alright, we can do something. For example, there are genetically modified potatoes. We try to protect the potato plant against aphids, which are a particular problem in Scotland. It's the wet, sort of humid atmosphere that does sort of promote their proliferation. And they settle down on the potato plants, and cause quite a bit of damage. So we could find a lectin, an insecticidal lectin, which would do away with that damage by aphids, by simply poisoning the aphid. Because the particular lectin that we have transferred by its gene into the potatoes, when it was expressed in the potatoes, did in fact harm the aphid. So this we can do quite well. What we could not do was to do this selectively. So when we found, for example, the aphids are controlled by what you call lady bugs. And what we found was the lady bugs, which eat the aphids, were just as much poisoned. [Patrick Timpone] And we need the lady bugs for the whole ecology. So you kill the lady bugs as well as the aphids? [Patrick Timpone] Which is dangerous, is it not? [Arpad Pusztai, Ph.D.] Yes, it is very dangerous. So that was one of the observations we made in this very big program. But then the question was naturally posed, "If we do eat these potatoes, if our mammalian animals do eat this potato, would their gut react differently from the aphid?" So we wanted to see if this lectin, which we transferred by genetic engineering into the potatoes, would not harm mammalian species: arguably, of course, us. With humans you cannot do experiments. So most nutritional labs do work with laboratory small mammals, like rats or mice. And they are standing in for us. So it's obvious that we are not rats, but nevertheless, some of the observations you make with rats will apply almost directly to humans. [Patrick Timpone] Researchers have for many many years used rats and mice, because they are so similar in the basic mammalian construction? [Patrick Timpone] In the gut, right? [Arpad Pusztai, Ph.D.] In the gut. And in the lungs; in the nose; and all those passages; in women's vaginas; they are all expressing this immune system, you know. They are the little foot soldiers of the immune system, of lymphocytes. In this case, in our case, it's the same actually in rats and mice, this intraepithelial lymphocytes which will, as soon as there is something unknown getting into the gut, they will be marshaled, and they will just go to the surface to try to get rid of it. [Patrick Timpone] The gut tries to get rid of it? [Arpad Pusztai, Ph.D.] Yes. I think our immune system works in the way that if you cannot digest it, then you must have some other mechanism to make it harmless. And this is one way that the mucosa, the surfaces, where you need to have an immune system to neutralize harmful substances. [Patrick Timpone] I think we see a lot of that going on in gluten intolerance, and these other undigestible proteins that the body can't deal with. [Arpad Pusztai, Ph.D.] And the consequence of this is, in a few instances, you have a direct allergy response. But in the case of, for example, gluten, it is the cell-mediated immune system which is doing something. Not immediately, but by doing a very strong reaction, your body will react to it. And some of this is very harmful for us. [Patrick Timpone] Let's get back then to the potatoes and the mice, right? [Arpad Pusztai, Ph.D.] This was our idea, okay? We're going to test the gene product in its original place. So in our case, we took this gene from the bulb of the snowdrop. [Arpad Pusztai, Ph.D.] It's like the onion I referred to. This is the bit that is in the ground from which the plant can grow out of. And I'm sure that, I don't know whether in Texas you have any snowdrops, but in any place where there is snow it's the very first plant which, when the snow starts to go, it will come out. And it is a very resilient little plant. It has sort of little white flowers. Do you know what crocuses are? [Patrick Timpone] Yes, sir. Yes. [Arpad Pusztai, Ph.D.] Well, this is something like crocuses. And in fact, they are very closely related. [Patrick Timpone] Now, you are using these in relation to the potatoes then? [Arpad Pusztai, Ph.D.] Yes, because we found that if you were using this lectin in artificial diets for the insects that we were dealing with, that did damage the insect. So this is the timetable, how you go about it. You want to find something that will harm the insect. So you know about the insect, and you know what it feeds on in laboratory conditions. This is all artificial, of course, but nevertheless you can find out which particular chemical will harm that insect. So this is what we did before we transformed the potatoes with the snowdrop bulb gene. Because we knew that the lectin which is in the snowdrop does harm the insect, now we wanted to see if we put the gene into potatoes, would that also harm the insect. We found out, yes it does. So the protection part of the system was up and running. [Patrick Timpone] So you essentially genetically engineered the potato? [Arpad Pusztai, Ph.D.] Yes. And then the next thing we wanted to find out, because it is a nutrition institute, and because the potatoes would be eaten by people, so therefore we wanted to see if we are using this particular lectin that harms the insect, would it do any harm to the rat in our case? So what we do is we put it into the diet of the rat, feed the rats on the diet, and then observe if anything happens. [Patrick Timpone] Let me interrupt for a second. Is it a fair experiment if you just feed rats potatoes, which is a food unnatural to them? [Arpad Pusztai, Ph.D.] No, no. In a nutrition lab, you never feed animals things like potatoes, or anything else for that matter. You are making up a compound diet which contains everything which is essential. So all the vitamins, all the minerals, all the energy, and you put together a diet which is then fed to the rat. But this diet will contain the potatoes as well. So I know that some people said that Pusztai's experiments only showed that rats don't like potatoes, but this is rubbish of course. [Arpad Pusztai, Ph.D.] You see, nutrition is not -- how should I put it -- not nuclear physics. It's not an extremely brainy subject. But it is a very important subject. And it does have its ground rules. So you must not feed anything rubbish -- maybe the rats will feed on it in the wild, but in the lab you need to control everything. These are artificial conditions, true, but in these artificial conditions you can make comparisons. [Patrick Timpone] So how did the rats fare when you added the addition of the genetically modified potatoes? [Arpad Pusztai, Ph.D.] A step before that was, when we used this lectin in a sort of artificial diet, it didn't harm the rats. But when we put it by genetic transference into the potatoes, it did harm the rats. [Patrick Timpone] So let's see, so I understand. If you just took that simple lectin, and just gave it to the rats, they did okay with it, but when you genetically modified the potato, they didn't? [Patrick Timpone] What do you suppose that is about? [Arpad Pusztai, Ph.D.] That was the crux of it. We did a number of experiments, which have been described and published. The important thing was that in fact, when we put the same lectin into an artificial diet at 800-fold concentration, it still didn't harm the rat. [Patrick Timpone] Oh, not in the potato, but just alone? [Arpad Pusztai, Ph.D.] Just alone. But in the potato, at 800 times less amount, it did do the damage. Now we wanted to find out, has the gene product changed in this transfer? Is it still the same as it was in the original? [Patrick Timpone] Has the lectin changed its gene when you mixed it with the potato? [Arpad Pusztai, Ph.D.] No, it hasn't. What happened was, and this is the very first example that described what scientists now call "insertional mutagenesis." Now I'll explain what that is. You can imagine that there is a cell, a nucleus, which contains something like 50,000 genes, and a huge genetic network. It's just sitting there. It's like a very complicated DNA network. Now, you shoot a gene construct -- it's not just a gene itself, it is with a promoter and a terminator and all that, but it is still only a very small thing in comparison with this very big network of genes in the potato, the corn, or whatever. Now, you are shooting it in, but you have no means of directing it. So you are almost like blindfolded shooting the thing in. And you have no idea, "Does it hit? Does it hit just once? Where does it go to? What does it do?" So, for example, if the shot ends up in the middle of an important gene in the potato, from there on the potato will not grow. It's because you interrupted its normal functioning genetic system. But it may get into regulatory networks, you see. When we found out that with the Human Genome Project that you have about 2-1/2-3% of all the DNA in genes, the rest they call them everything else, or junk, whatever. It's not junk, it's a huge regulatory network in which if you are sort of interrupting bits -- like in an electric network -- then you would get all sorts of functional problems. It's the insertion, that in fact, causes mutation. And this is what is called "insertional mutation." So you are shooting blindfolded. And by selection, you are trying to pick out ones that will be suitable for your purpose. But you cannot say where it landed. And you don't know what sort of reshuffling -- you see, this is like a pack of cards which is reshuffled. You don't know what is going to happen. And normally, it is reasonably well known that something like 2-5% of the plant's old genes are affected. We don't know which way they are affected. We haven't found out methods which will tell you this. But you cannot say it in advance that "I am going to shoot this thing into a part of the genetic network, and there is not going to be any problem." [Patrick Timpone] So you're suggesting that a small percentage, 2-3% of the plant that is genetically engineered is affected in ways that we don't know? So now you're wondering, "If people eat this genetically modified food, what does it do to our genes?" [Arpad Pusztai, Ph.D.] Yes. That's exactly it. That is the most important part. And this is what I said, that I am teaching doctoral students, Ph.D. students, to point out all the things that have not been done, although they ought to have been done -- risk analysis; safety studies -- that ought to have been done before commercialization. [Patrick Timpone] For genetically modifying this food? [Patrick Timpone] So we have only a limited amount of time, but tell us about the rats' experience, what you saw in the rats. [Arpad Pusztai, Ph.D.] What happened was, in a long-term experiment, which in our case was 110 days with both raw and cooked potatoes, the diets were made up of raw and cooked potatoes, there is a slowing down of growth. Well, you would say, "Alright, humans would not eat simply potatoes unless they were Irish 200 years ago." But from the point of view of our studies, this was important. Slowing down growth, it was in fact in 110 days it became significant. [Patrick Timpone] The growth of the rats slowed down? [Arpad Pusztai, Ph.D.] Yes. That was one thing. Now, when at the end of the experiment, when you kill the rats, you do a dissection, a post-mortem. And you find, for example, the stomach and the small intestine, although the rat itself was smaller, the stomach and the small intestine, and to some extent the large intestine, were getting bigger. [Patrick Timpone] They were growing? [Arpad Pusztai, Ph.D.] They were growing. And then when you looked at, for example, the liver -- that was being sort of reduced in size. So the essential point was that the inside and the outside, to use these crude terms, were not in synchrony. Some of them were growing more, some of them were being reduced much more. So what we did see is when we put the rat on the scale, we could see that it was smaller than you would expect. And this was significant. Now, from this -- you remember that when we used 800-fold times the amount that is expressed in the potato that was put into the diet we didn't see this. We didn't see it. Now, it's obvious that the potato is a very poisonous plant. The only part of the plant that is okay for human or animal consumption, for that matter, is the tuber. And even the tuber can go poisonous if it is exposed to sunlight, and under some conditions. You know, we thought at the time that it's not the transgene and its product that had been changed. It's the potatoes' own genes that have been changed. [Patrick Timpone] The potatoes themselves changed? [Arpad Pusztai, Ph.D.] Yes, yes. You see, the important thing is that all parts of the potato plant aren't toxic. But because all the cells of the potato contain the same genetic material, what we think happened with this insertional mutagenesis, reshuffling of the genes, is we converted the non-toxic tuber into something that resembles much more of the potato plant itself, which is in fact toxic. [Patrick Timpone] So you suspect that by actually doing the gene work on the potato, you actually made the actual potato part of the tuber toxic as well? [Arpad Pusztai, Ph.D.] Yes. That's exactly it. [Patrick Timpone] Very interesting. Have they genetically modified potatoes, Monsanto and such, in Europe or anywhere in the world? [Arpad Pusztai, Ph.D.] Yes. You called it -- or America called it -- "New Leaf Potatoes." [Patrick Timpone] They won't buy that potato! [Arpad Pusztai, Ph.D.] -- they refuse to use it. [Patrick Timpone] Oh, good for McDonalds. But Professor Pusztai, I've read that you got yourself into a little trouble doing this kind of work? Did they fire you for doing this? [Arpad Pusztai, Ph.D.] No, it is a much longer story. [Patrick Timpone] Well, give us the short story. [Arpad Pusztai, Ph.D.] I'm a very old bloke. I'm in my 79th year. [Patrick Timpone] Well, your mind is just as sharp as ever, sir. [Arpad Pusztai, Ph.D.] Yes, well, but I was told at the time that I had mixed up all the things. The important thing is that in our country -- this is Great Britain -- if you are in a government-financed research institute, you have to retire at the age of 60. And when this did happen, I was already over 68. So what happened was when I got 60, I went into retirement. But then the Institute created a job for me. It was called "The Senior Research Fellow of the Rowett Research Institute." So I still did just work on. It was fine. I was not getting a salary from the Institute, but getting a pension. And all the other things I had to earn myself. So we ran a very big research outfit of about 20 people, of which only 3-1/2 people were paid by the Institute. The rest, we were quite successful for getting money. I mean, for example, this potato project was a $3 million project. So it's not peanuts. And a part of that money, we gave the Institute 25%, and the rest was ours. I don't mean into my pocket. But we financed research on this. And generally, we were very, very successful of getting commercial money. So I had a year by year contract with Rowett. So by the time it came to 1988, I was 68 myself. What happened was that at the end of the contract -- this is the 1st of January, 1999 -- the contract was not renewed. But don't make any mistake about it, it was a huge cathartic, explosion-like controversy. [Patrick Timpone] I can imagine. You know, GM is a big deal around the world. [Arpad Pusztai, Ph.D.] Yes, yes. [Patrick Timpone] Now in general, Europe really doesn't like this genetically modified stuff. I think they are ahead of the United States in this regard, aren't they? [Arpad Pusztai, Ph.D.] Yes. I think that we still regard that quality is important. [Patrick Timpone] Yes, yes. Do you think that at the end of the day, that more and more research will show that we'll continue to see problems with these genetically modified foods in general? [Arpad Pusztai, Ph.D.] Well, they are already finding a lot of problems. But they are being swept under the carpet. [Patrick Timpone] Yes. Even in Europe? [Arpad Pusztai, Ph.D.] Yes. Well you remember that, of course, there is a huge U.S. pressure on via the WTO. [Patrick Timpone] It's a big deal with Monsanto. Oh, boy! [Arpad Pusztai, Ph.D.] So I think that there is a huge pressure. But we are trying to react to it, and try to stop it. The main problem is, if you asked me at the time whether I was accused of being against genetically modified food, I was a scientist. I only worked with genetically modified potatoes. And I always spoke about that. But at the time, we were the very first who published results of this. There were no scientific papers published in 1995 when we started this work on the safety research, or whatever. There was absolutely none. But since then, we have a lot of research done. And not always so very straightforward research. It's only in the last few years that governments, like the Italian government, or the Austrian government, have been sponsoring studies, giving money to studies. There are a few major pieces of research which is now being published. And what I can discern from this -- and I've been reviewing the field time and time again, and publishing -- what is happening is that, just like what we said at the beginning -- and that was what was my unforgiveable sin -- I am afraid the body will regard any genetically modified stuff coming into the digestive system as foreign. [Patrick Timpone] [GASP!] Ah! That's the bottom line. [Arpad Pusztai, Ph.D.] That's the bottom line. And now we have a lot of evidence for this. [Patrick Timpone] Well, that's a very strong statement to kind of wrap things up with. If you'd be so kind, I would very much enjoy to get back with you at some point. I'd like to learn more about the cells and the immune system, and nutrition, and these kinds of things. Would you be open to doing that some time? [Arpad Pusztai, Ph.D.] Yes. I think that the other thing, of course, is what is perhaps even more important -- the reproductive functions. [Patrick Timpone] Yes, yes. Because the sperm count, and the fertility rate in this country, in the United States, is alarmingly low, and it's going down. And you have some ideas about that? [Arpad Pusztai, Ph.D.] Well, I don't know. You have to put 2 and 2 together. Remember, I am still a scientist, so I try to speak about the facts, established facts. [Patrick Timpone] Yes. And also we would be remiss -- excuse me for interrupting, but we're short on time -- but we would remiss in not saying that there could be a very, very huge issue with this whole cross-pollination of these plants -- even if it never went into a human or an animals' digestive tract -- in getting into other plants around the area? [Arpad Pusztai, Ph.D.] But you see, you cannot grow non-genetically modified canola. [Patrick Timpone] In Canada, I know you cannot. Doctor, all of the genetically modified corn that is going into the beef in the United States, what's that? That's a big deal. [Arpad Pusztai, Ph.D.] Nobody looks for it. [Patrick Timpone] Oh, it's a big deal. Well, Dr. Arpad Pusztai in Hungary, it's been just a joy to talk with you, sir. And I think, I know it was very complicated and intricate, but I think it was a good exercise to go through. So those of us listening can just begin to get an idea of how complicated, intricate, beautiful, wholistic, and holographic the body is. And that maybe it isn't nice to mess with Mother Nature. And we'll see. Keep up the good works, sir, and I will keep in contact. And perhaps we can do it again? [Arpad Pusztai, Ph.D.] Come back via email, and then we can arrange it again. [Patrick Timpone] We'll do it, sir. Dr. Pusztai, thank you for your time. Have a nice evening, sir. [Arpad Pusztai, Ph.D.] Thank you. Thank you. [Patrick Timpone] My pleasure. What a nice gentleman. Bye bye. 79 years old, and his mind and heart are right there, isn't it? Well, the challenging thing that we're having in this country, I suspect, is that what we want more than anything in the United States is simply a law stating that if you genetically modify a food of any kind, that we just want to put it on the label, please, and then we'll make our decision whether or not we'd like to eat it or not. That's what we want in this country. So any energy that you can put in that regard, to write your congresspeople, senators, and tell them we want a genetically engineered modification food law, labeling law, then that could be the next best step. We will do it again with Professor Pusztai in Hungary, and dig more into the wonderful world of figuring out how to reach the very best health we possibly can. Pass on this podcast, and all the podcasts, to everyone that you care about. We're 24/7 on oneradionetwork.com. My name is Patrick Timpone. I love you all very much. Take care. UK scientist in genetic food scare loses his job: The world-renowned scientist who triggered a global scare over the safety of genetically modified food was relieved of his responsibilities yesterday and will retire shortly. THE world-renowned scientist who triggered a global scare over the safety of genetically modified food was relieved of his responsibilities yesterday and will retire shortly. The Rowett Research Institute in Aberdeen, Scotland, said that Dr Arpad Pusztai (68), had not started crucial experiments to support his fears and that it ''regrets the release of misleading information about issues of such importance''. Tests conducted by Dr Pusztai supposedly suggested that long-term consumption of potatoes modified with a gene that codes for a powerful insecticide could damage the immune systems of rats and stunt their growth. 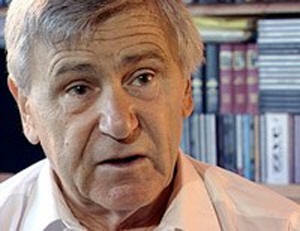 The furore resulting when Dr Pusztai's work was publicised by a British TV programme led to demands by MPs for a ban on genetically altered food. According to its director, it was "locked in with governments across the globe, locked in the European Union and simultaneously looking at the data''. It emerged yesterday that long-term feeding experiments had not been conducted with modified potatoes containing a gene from the Jack Bean plant responsible for concavalin A, or con A, a type of protein called a lectin which is a powerful insecticide. The point of the experiment was to highlight the value of long-term feeding tests, not to show that genetically altered foods were dangerous. The harmful effects of con A are well known and it was unlikely to have been considered for use in a food crop. "It is known to be a vicious stimulant of the immune system,'' said Prof Philip James, Rowett's director. He learnt on Tuesday that con A modified potatoes had not been fed to rats when Dr Eva Gelencser, carrying out the experiments for Dr Pusztai, returned from abroad. The reported effects on the immune system and growth of rats were noted when con A was added to a diet of potatoes, an experiment that has been done before. This is different to using potatoes genetically altered to make con A because the shape, and thus activity, of the protein can differ according to the host cell that makes it. The activity can also be affected by the environment in which it is made. ''What I discovered at five o'clock last night was that the con A potatoes were sitting there, ready to start feeding trials,'' said Prof James. ''He Dr Pusztai got carried away. He thought that his team had done at least the short-term con A studies. Prof James stressed that it remains possible that Dr Pusztai will be proved right. "But he was wrong about the details of his experiment, as portrayed to us, and it is because of that second point that I have decided that he ought to retire because he did mislead us and has admitted to that. "He is well recognised as a world-leader in lectins. That is the tragedy. He has had international prizes for his work. If anyone wants to know anything about lectins, they phone him up. Ironically, an effect on rats had been found with a different engineered potato. A lectin called GNA affected rats' immune systems. The short-term data provides support for Dr Pusztai. Prof James said that he could not give the GNA gene a clean bill of health, nor was he willing to discuss this preliminary data. Dr Andrew Chesson, a senior Rowett scientist, said: ''It may well be that he Dr Pusztai is right in the end, but he could not have drawn that conclusion at the time." Monsanto manager for Ireland Dr Patrick O'Reilly said it was pleased that the Institute had publicly regretted "tremendous harm caused by the misleading publicity'' and called on World in Action to issue a retraction. He said Monsanto had declined to participate in the programme because it was not provided with details of the study from World in Action. "Monsanto would also like to congratulate the Institute on their brave action. The potential benefits for consumers, the environment and farmers of advances in genetic science have unfortunately in recent months been overshadowed by alarmist publicity stunts of one kind or another,'' he said. However, Genetic Concern said that the results presented on the programme were not necessarily the issue of consumer concern and the real issue was that such testing had not been carried out at all on other genetically engineered foods currently on the market.